The introduction of the Propertymark brand as a ‘consumer friendly’ umbrella name for a series of trade bodies has been a huge success according to figures given to Estate Agent Today. The brand was created in February 2017 to provide a more public-facing and memorable name embracing five trade bodies - the National Association of Estate Agents, the Association of Residential Letting Agents, the National Association of Valuers and Auctioneers, the Institute of Commercial and Business Agents, and the Association of Professional Inventory Providers. “Figures show Propertymark has worked extremely well” according to NAEA chief executive Mark Hayward in an interview with Estate Agent Today. 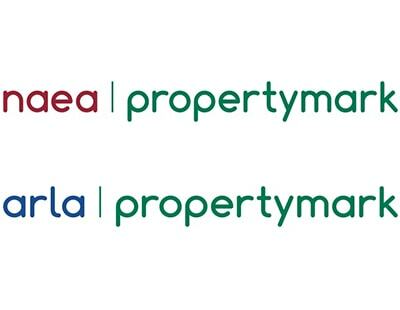 He says brand awareness of ‘ARLA’ before February 2017 was four per cent while brand awareness of ‘NAEA’ at that time was seven per cent; now, brand awareness of ‘Propertymark’ is 20 per cent. “Likewise hits to our website are huge now - a full 805 per cent of the figure before February 2017” says Hayward. Hayward and his ARLA counterpart, David Cox, say they put this down to a number of factors including the use of Lansons - one of the country’s best known PR and reputation management consultancies - and to TV advertising campaigns. In September 2017 and again in February this year there were TV campaigns across a range of commercial TV broadcast channels as well as streaming services, and online on Rightmove and Zoopla. In addition to raising public awareness, TV advertisements tell NAEA and ARLA member agents “that we’re active, that we’re out there doing something on their behalf” Cox tells Estate Agent Today. He says the organisation hopes even more members will shortly use Propertymark stickers on windows and on letterheads and advertising material. “When you’re on a train station and you see a travel agency or airline advertisement, on all of them at the bottom you see the trade bodies named and their logos - ABTA and the like. We hope to achieve the same, to give public and members the reassurance that these companies are trusted and professional” explains Cox. Next year the Propertymark brand will feature further in social media campaigns and the website is to be augmented with additional ‘how to’ features aimed at consumers rather than existing property professionals, says Cox. Shame they don't respond to critical emails from members that are unhappy with the utter silence from propertrymark. Alexa analytics shows a very different picture regarding web-traffic!